International instructor Nicolas Berryman highlighted the importance of recovery in order to optimize the athletes’ performance during training and official competition. 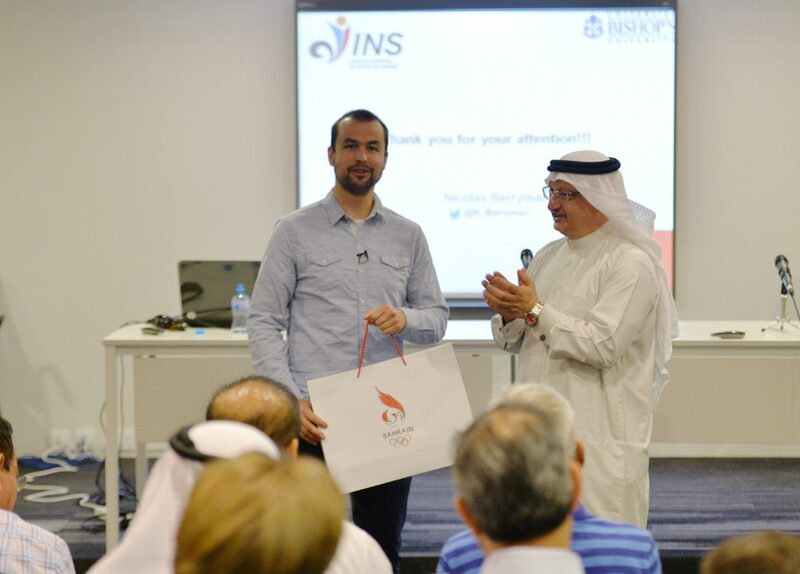 This was revealed at the first-of-its-kind seminar on Advanced Recovery & Regeneration, organized by the Bahrain Olympic Committee’s (BOC) Sports Training and Development Centre on Wednesday (July 5). Staged at the National Stadium’s Conference Hall in Riffa, the seminar saw 110 sports clubs and federations representatives, who were also warned of an intensive training programme, resulting in a performance decline and sport injuries. The seminar was also attended by top officials from the BOC, including general secretary Abdulrahman Askar and Sports Federations director Hesham Al Beloshi, in addition to University of Bahrain Physical Education and physiotherapy dean Dr Sadeq Al Alawi and other sports authorities’ personnel. Berryman also focused on the subjects related to training principles and observation, as well as strength training, recovery strategies and training in hot weather. “Training affects the vital functional organs of the body and consumes its energy when there is an excessive training load. Therefore, there must be a recovery period in order for the body to come back normal state,” said the Bishop’s University instructor. “Most of the athletes around the world are unprofessional. They suffer from work pressures and family responsibilities, which must be taken into consideration. Sometimes little effort gives better results, so there should be a standardized training load. Heavy training leads to a decline in performance and exposure to injuries”. This is where recovery comes to simply regenerates the athletes’ energy to be able to perform better in future competitions,” added Berryman. Berryman said recovery, sleeping and nutrition are the most important factors that affect the development of the athlete’s performance, and not only the quality of training, noting the importance of focusing on other mental and social factors for its direct impact on the athletes’ performance level. The seminar, run by Sports Training and Development Centre director Nabeel Taha, concluded with a question and answer session. Askar presented a memento to Berryman in appreciation for his efforts in presenting this event, while certificates were presented to all participants on this occasion.